A proud Dubliner, I grew up in our small coastal capital city and my heart beats with the rhythm of this ancient land. After school I did an honours Science degree to satisfy my curious mind and although biology fascinated me, I knew from my Drama Society days that communication was my forte. I emigrated to London, like many a young Irish woman, and added Marketing and PR to my skill set. Although it was very exciting there, it was also very stressful so I tried a Yoga Class. The rest is herstory! I returned to Dublin to study Holistic Therapies including Yoga, Aromatherapy Massage and Nutrition which taught me all about the physical, I then added Counselling and Psychotherapy giving me the mental, emotional aspect and finally with Reiki and Shamanism I had the full holistic spectrum with the spiritual and energetic. With my husband, John Cantwell, I co-founded and run a School of Celtic Shamanism called ‘Slí an Chroí’. This sacred way of living and healing is a deep resource for the Irish tradition of spiritual wisdom and mysticism through Nature, which is both ancient and contemporary, Celtic and pre-Celtic. Over the last seven years I have united Shamanism and academia with my MA and PhD research bringing these vital holistic practices to a wider audience. It is my heart-felt wish that the wisdom of this sacred island under the guardianship of the Irish Goddess Rites awakens the Celtic soul seed within every woman who hears the call of the Divine Feminine across Mother Earth. Having originally trained as an undergraduate in Microbiology at University College Dublin followed by Marketing and PR, I worked in Dublin and London as a Science Executive. Remember drinking yoghurt? That was one of my projects back in the day. On returning home to Ireland, I continued my daytime work with two colleagues in our London Irish Design and Marketing company ‘Dante’, eventually going freelance while training to be a Yoga Teacher with the Irish Health Culture Association, Yoga Teachers Training Centre and the Elbow Room core Courses. When my students spoke of aches and pains I decided to explore Aromatherapy Massage at the Walmer Centre. At this stage I was in my early thirties and down to a 3 day week on an extended EU Project with the National Council for the Blind of Ireland. I knew that I needed to add Holistic Nutrition again at the Walmer Centre and Reflexology at the Footprints School of Reflexology to fully understand Bodywork therapies. In 1995 I commenced studying the human mind and emotions with Counselling Psychotherapy at the Irish Association of Holistic Medicine and on graduation became a member of the Irish Association of Counselling and Psychotherapy to offer a more rounded consultation experience. Finally having established my own Rhiannon Clinic in Smithfield, Dublin City, I complemented my body and mind therapies with the soulwork of Reiki at the Dorset Centre. Then my world took a seismic shift when Shamanism opened up a glorious umbrella to cover the myriad of therapies I practised. Along with travel to work with indigenous shamans in Peru, Australia and America, I studied with the Four Winds Society, the Irish Centre for Shamanic Studies, Dunderry and the Kilkenny College of Druidry. 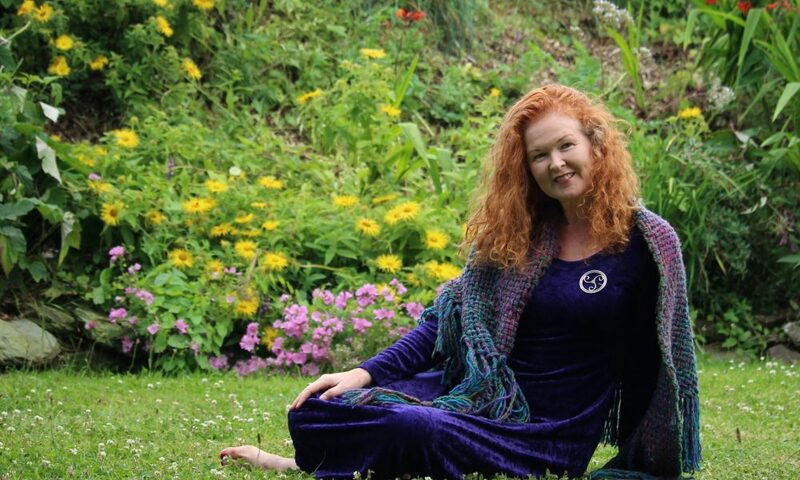 My husband John Cantwell and I co-founded ‘Slí an Chroí’ – a School of Celtic Shamanism with two tiers – the Medicine Spiral is a personal journey of discovery and connection while the Healers Spiral empowers students to become Shamanic Energy Therapists. I fulfilled a dream to unite spirituality and academia in completing my MA in All Hallows College. Then using a Shamanic Energy Therapy technique I devised, I conducted research in Counselling and Spirituality specifically Celtic Shamanism in Dublin City University. After my Spring graduation I will be Dr Karen Ward which I have to admit has a certain ring to it! Along the way I was the Holistic Therapy on RTE, Irish Television’s ‘Health Squad’ for six years and the Energy Therapist on BBC Northern Ireland’s ‘Last Resort’. My publications include ‘The Health Squad’s Guide to Health and Fitness’: Onstream Publications, ‘Change a Little to Change a Lot’: Merlin Press and the annual ‘Moon Mna Diary-Journal’: Acrobat Design and Publishing. I am delighted to write for Naturally Good Health magazine quarterly and RTE website’s Brainstorm section.